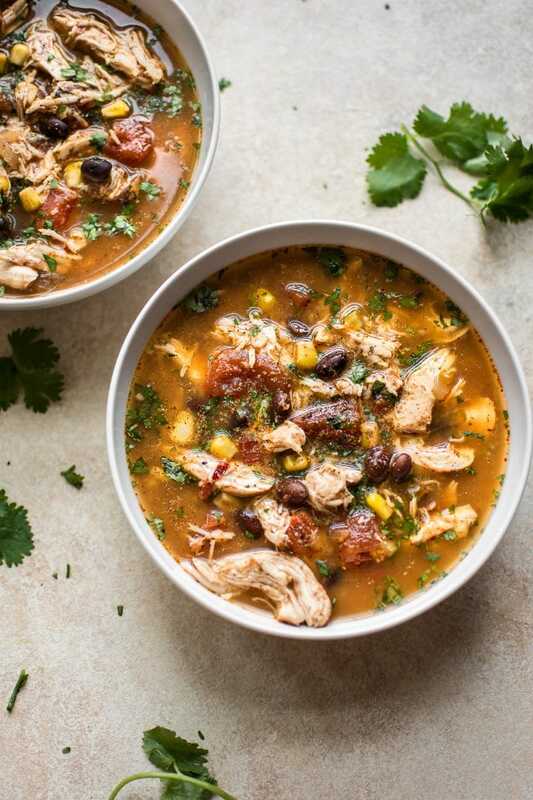 This Crockpot chipotle chicken soup recipe is simple, healthy, and full of flavor! You can easily kick up the spice in this soup if you like it hot. Chop your onions and celery and mince the garlic. 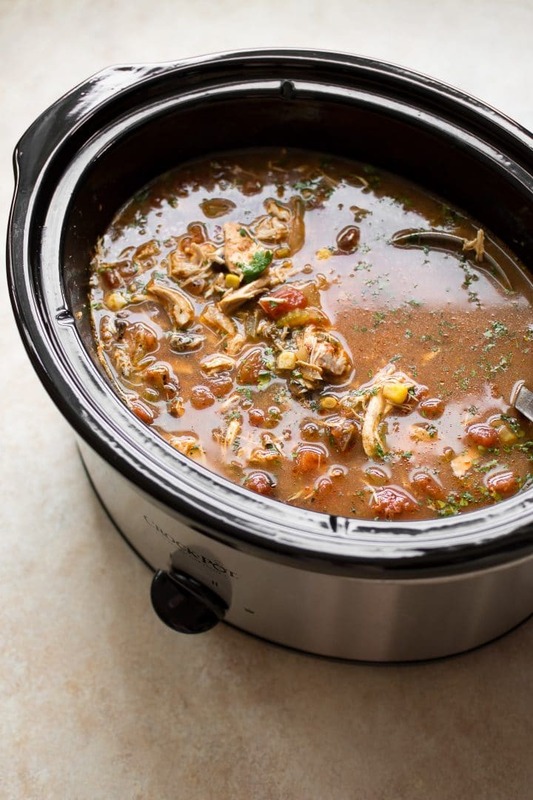 Add all ingredients to a slow cooker including the whole chicken breasts. Cook on low heat for 6-8 hours or on high heat for 3-4 hours. Shred chicken with a fork prior to serving. This soup can be made with chicken breasts or thighs. 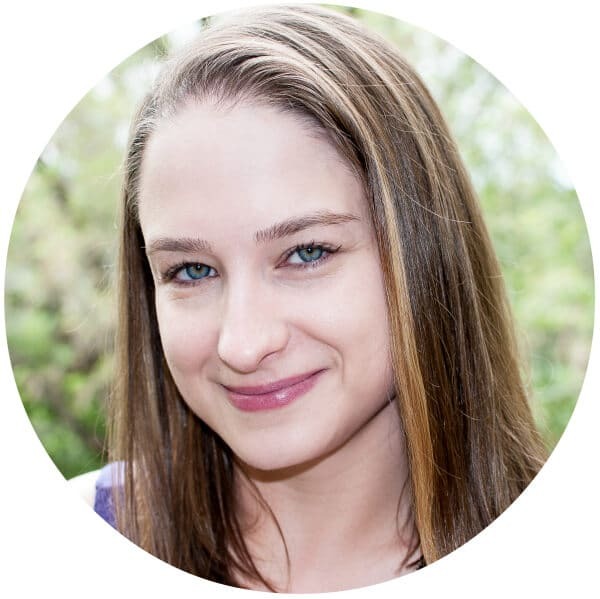 I’d add 6-8 chicken breasts to the slow cooker if you want to swap it for the white meat. The darker meat will be more tender, especially if you opt to cook it for the full 8 hours. If you like these type of flavors, you may also like my Crockpot Mexican chicken soup or my Instant Pot chicken tortilla soup – they’re similar recipes. …or skip the toppings altogether. Pro tip: Don’t own a Crockpot? 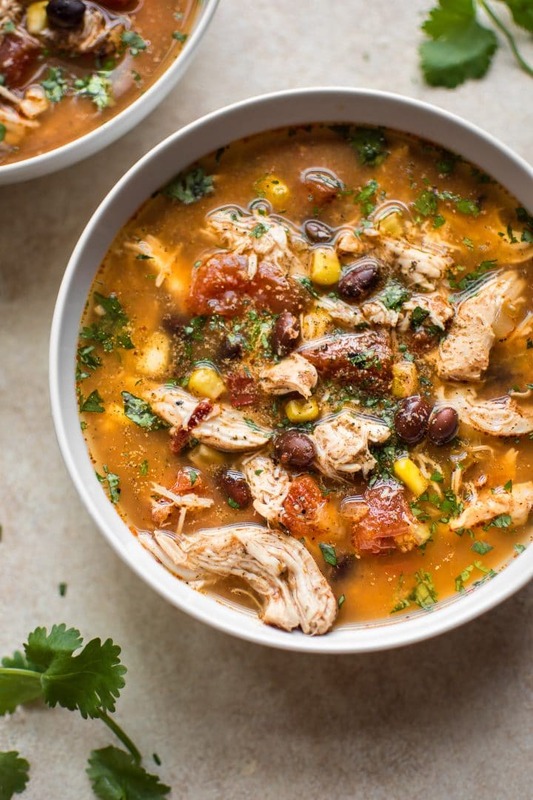 Easily make this chipotle chicken soup on the stove by using the same ingredients and cooked chicken – this will save you a lot of time! 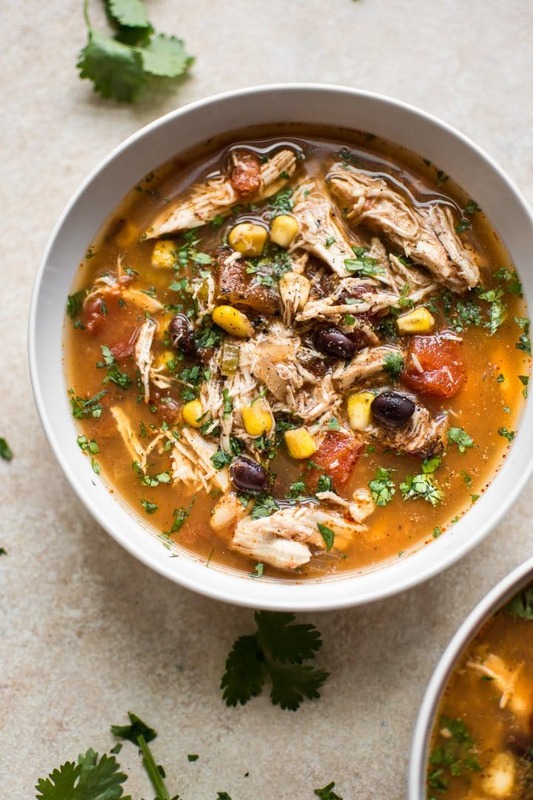 Will you give this slow cooker chipotle chicken soup recipe a try? Prep everything except for the garnish ingredients and add them to the slow cooker. I like to add the chicken last so I can give the soup a good stir prior to adding it. Cook the soup on high for 3-4 hours or low for 6-8 hours (I cooked it on high for 4 hours). Take the chicken out of the Crockpot and shred it using 2 forks. Add it back into the slow cooker. Chop the cilantro and stir it in. Season soup with salt & pepper as needed. Serve immediately. I like to serve with a squeeze of lime juice, but that's optional. Soup freezes well for up to 3 months. Serves 6+ depending on how much people eat. Soup is slightly spicy; if you're worried about heat, omit the chipotle peppers and just use the adobo sauce. If you want it more spicy, I suggest adding more adobo sauce and chipotle chili peppers. Use fire-roasted diced tomatoes for extra flavor. Want to make this on the stove? I suggest using pre-cooked chicken (2 cups) and the same ingredient quantities. My local grocery store does not carry chipotle chilis or adobo sauce. Can I make this with crushed chipotle peppers? If so how much? It turned out great with the substitutions. I could’ve used more heat but it was perfect for my boyfriend. Will be a repeat. Thanks for the recipe! Awesome! So glad it worked out, thanks for letting me know! How long would you cook this for in the instant pot? This soup looks really tasty and hearty. It’s finally turned to soup weather here, so I’m ready for it. I made this last night and it was delicious! I tried three recipes from your site this week so far and they were all great. Thank you!